In India almost more than 80 % of the total population is very much fond of Cricket. ICC World Cup is one of the Biggest Cricket event and the countdown has begun for it. All the teams, grounds and media are ready for the ICC World Cup 2010. Here, today I Would like to represent to you 10 ways to watch ICC World Cup 2011 online. #1 Crictime.com: This is one of my favorite channel to watch cricket online for free. There are multiple servers available to world cup 2011 matches online for free..
#2 Webcric.com: Similar to above channel there are multiple streaming links available to watch world cup 2011 cricket matches live. #3 Extracover.net: One of the good channel where you can also enjoy chatting with like minded people. If the above channels are not working for you then you can try this channel. There are multiple streaming link to ICC world cup 2011. #4 Cricfire.com: You can watch highlights of ICC world cup 2011 from here. There are multiple links available to watch live cricket. #6 Freedocast.com: You can search here for ICC world cup 2011 live matches online. There are number of live streaming channels available to watch world cup 2011 live online for free. #7 live-cricket-match.com: There are multiple links available here. They also stream live cricket on HD quality. If you are one of those looking for a quality links then this channel might come handy. #8 Firstrow.net: World cup 2011 live streaming links will be available here. #9 Ustream.tv: There will be multiple streaming links available once the match is live. One of the best source to watch ICC world cup 2011 live online for free. Search for your favorite channel from here. #10 Justin.tv: Similar to above channel there are live streaming link to world cup cricketmatches available. 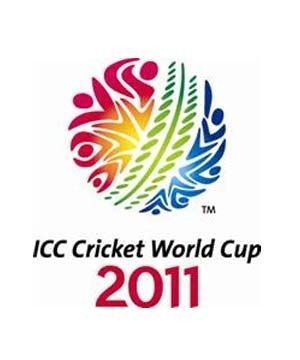 Search for the appropriate channel to watch ICC world cup 2011 live online for free.